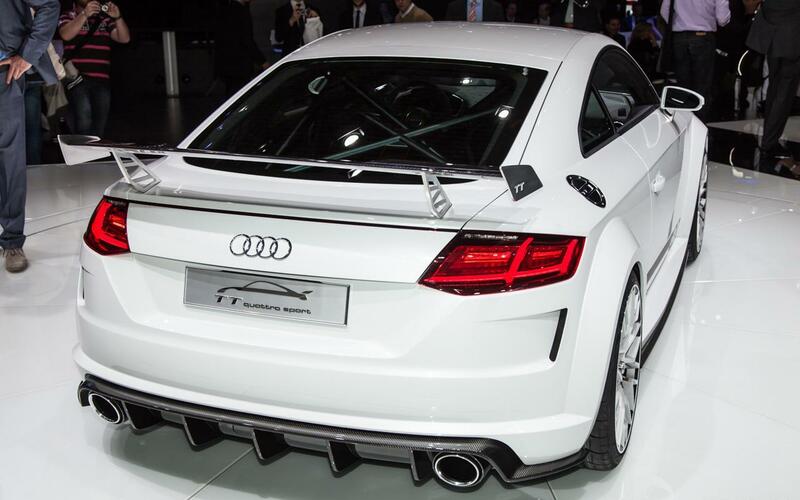 Μαζί με το νέο TT, η Audi παρουσιάζει στη Γενεύη και το TT Quattro Sport Concept, το πρωτότυπο το οποίο μας δείχνει την σκληροπυρηνική έκδοση παραγωγής που θα ακολουθήσει. Ο Dr. Ulrich Hackenberg, υπεύθυνος του τμήματος έρευνας και ανάπτυξης της Audi δηλώνει πως με το TT Quattro Sport Concept θέλησαν να δείξουν πως υπάρχει πλέον η τεχνολογία που θα πάει το TT ένα βήμα παραπέρα. Μηχανικά φορά έναν 2,0-λιτρο TFSI κινητήρα της οικογένειας EA888 με μεταβλητό χρονισμό και σύστημα διπλής εισαγωγής απόδοσης (FSI και MPI) 420 ίππων στις 6.700 σ.α.λ με 450 Nm ροπής μεταξύ 2.400-6.300 σ.α.λ, με τα 300 Nm ροπής να είναι διαθέσιμα από τις 1.900 σ.α.λ. Με 210 άλογα ανά 1.000 κ.εκ, ο συγκεκριμένος κινητήρας παράγει περισσότερα άλογα ανά λίτρο, ακόμη και από το αγωνιστικό Le Mans R18 του 2001. Ζυγίζει 1.344 κιλά, έχοντας αναλογία 3,2 κιλών ανά ίππο, με τα 0-100 χλμ/ώρα να τα κάνει σε 3,7 δευτερόλεπτα. Η τουρμπίνα σηκώνει πίεση 1,8 bar με τον κινητήρα να στροφάρει έως τις 7.200 σ.α.λ. Συνδυάζεται με ένα 6-τάχυτο αυτόματο κιβώτιο διπλού συμπλέκτη, το οποίο στέλνει τη κίνηση σε όλους τους τροχούς. Έχει αναλογία βάρους 46% μπροστά και 54% πίσω με το ESP να μπορεί να απενεργοποιηθεί πλήρως. 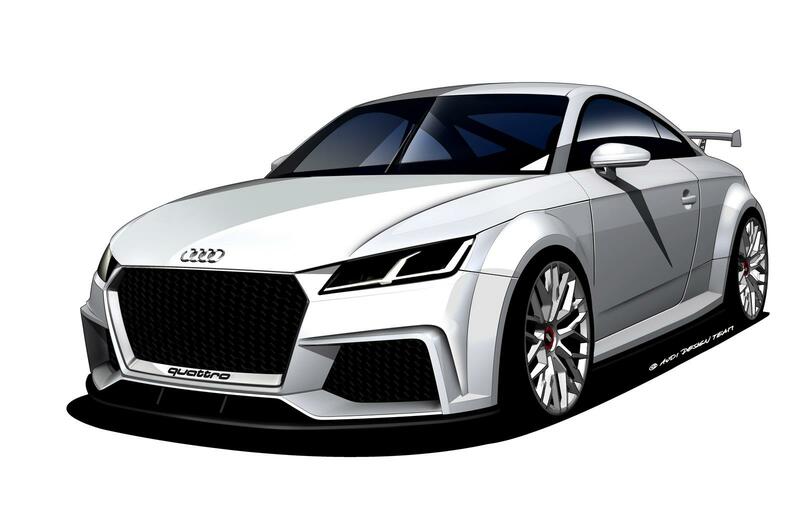 Φορά επιθετικής σχεδίασης bodykit με φουσκωμένα φτερά (+30 mm), carbon μέρη, μεγάλη πίσω αεροτομή και διπλές απολήξεις εξατμίσεων, ενώ πατά στη γη με μονομπούλονες ζάντες 20″ και ημι-σλικ ελαστικά. 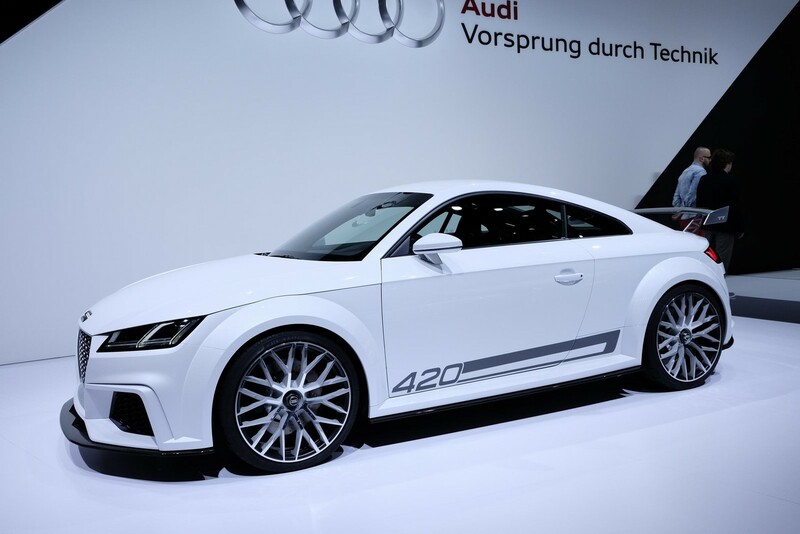 Στο εσωτερικό η Audi θέλησε να μειώσει το βάρος και έτσι πέταξε κάθε τι περιττό. Υπάρχουν Alcantara επενδύσεις, bucket καθίσματα, μαύρες ζώνες ασφαλείας τεσσάρων σημείων, με τον χώρο των αποσκευών να μπορεί να φιλοξενήσει δύο κράνη. Το τιμόνι του είναι νέο, πάνω στο οποίο υπάρχει και το κουμπί εκκίνησης του κινητήρα. 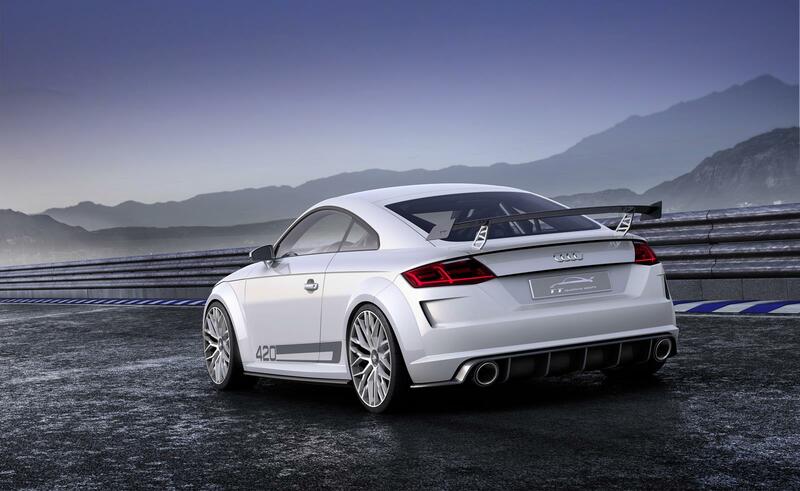 Audi to present a truly special show car at the Geneva Motor Show. 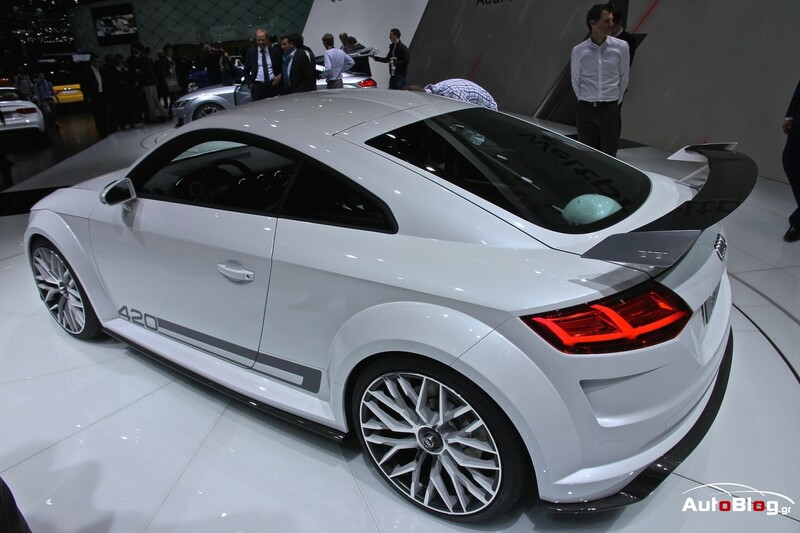 The Audi TT quattro sport concept embodies the dynamic potential of the new Audi TT in its purest form. 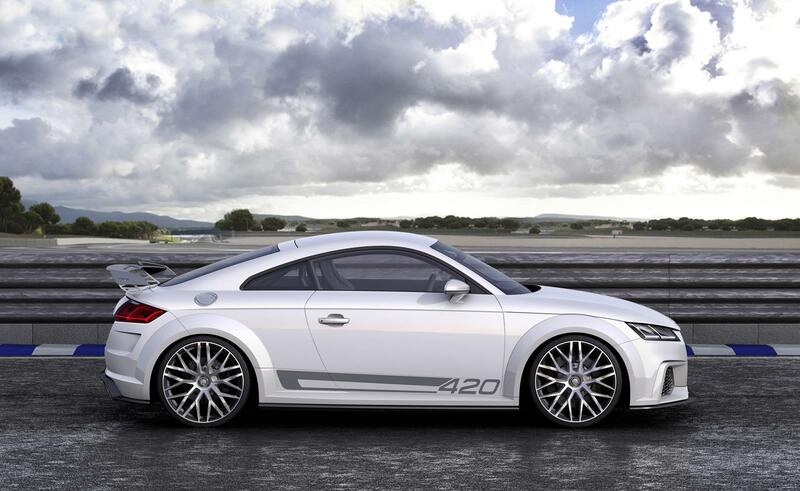 Its two-liter TFSI supplies 309 kW (420 hp), which the car puts on the road via the quattro all-wheel drive. 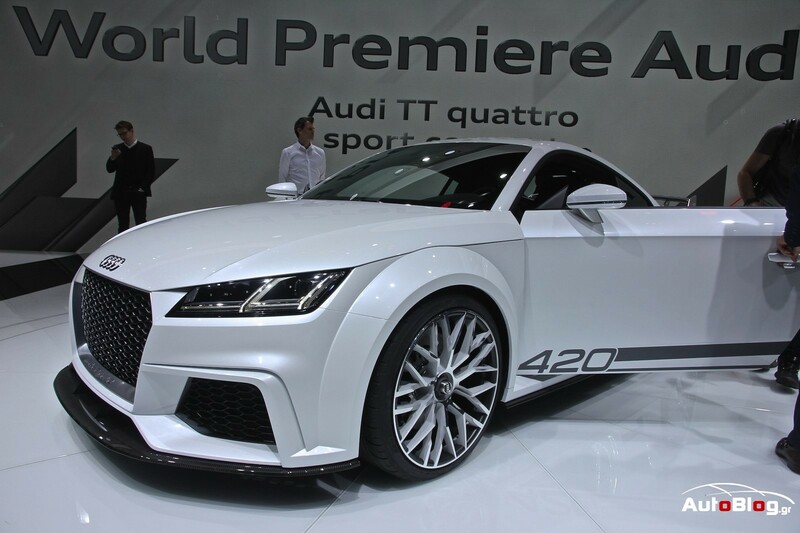 Powertrain The engine in the Audi TT quattro sport concept makes a powerful statement. 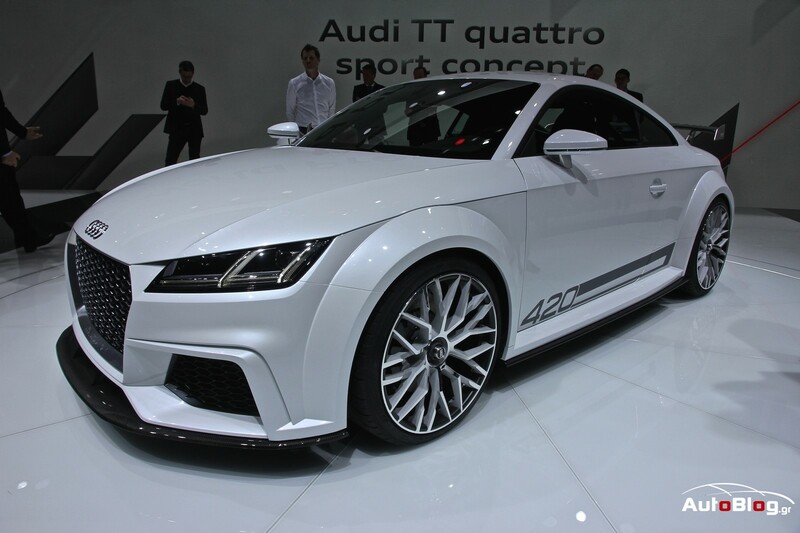 The 2.0 TFSI has a power output of 309 kW (420 hp) at 6,700 rpm – a new benchmark in the two-liter category. 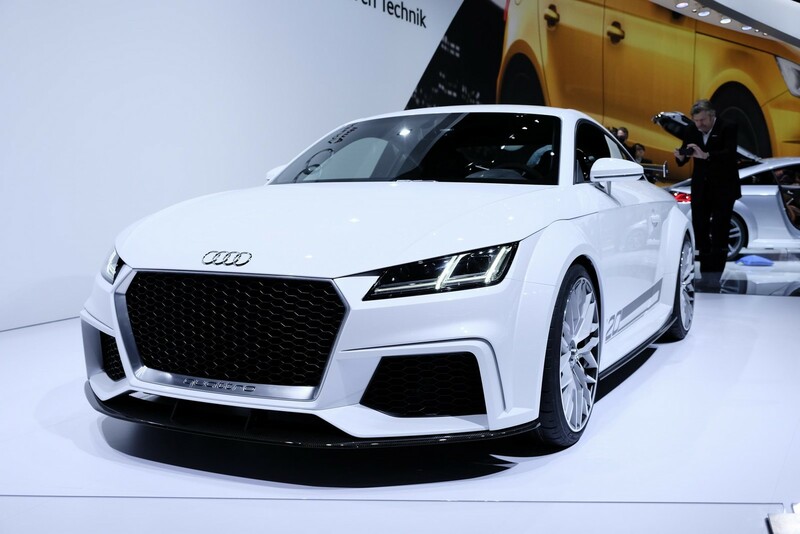 Its specific output is 155 kW (210 hp) per liter of displacement – that’s more than even 2001’s victorious Le Mans R18 racing car, which was the first time Audi combined turbocharging with FSI direct gasoline injection. 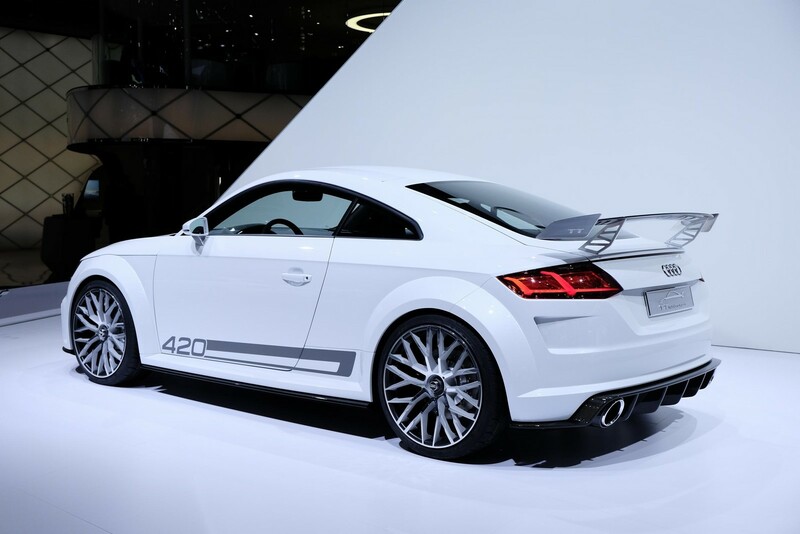 The four-cylinder engine has 450 Nm of torque (331.90 lb-ft) available in the engine speed range from 2,400 to 6,300 rpm. 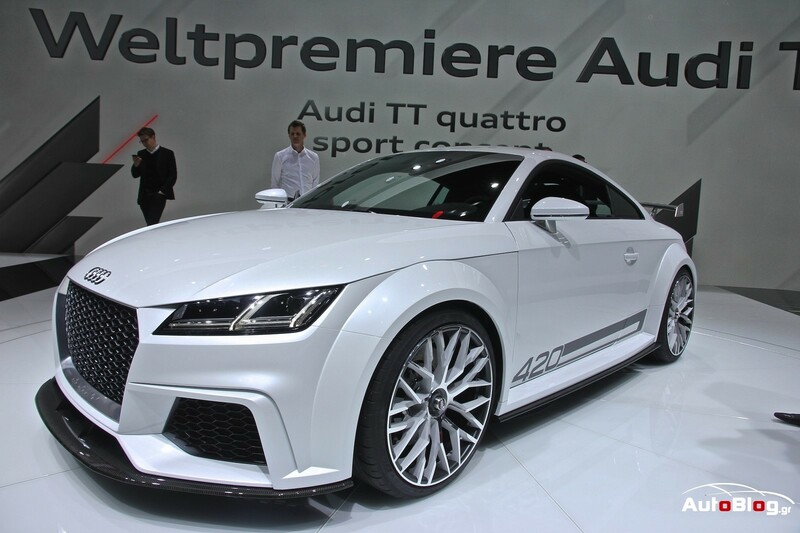 with over 300 Nm (221.27 lb-ft) already available at only 1,900 revs. 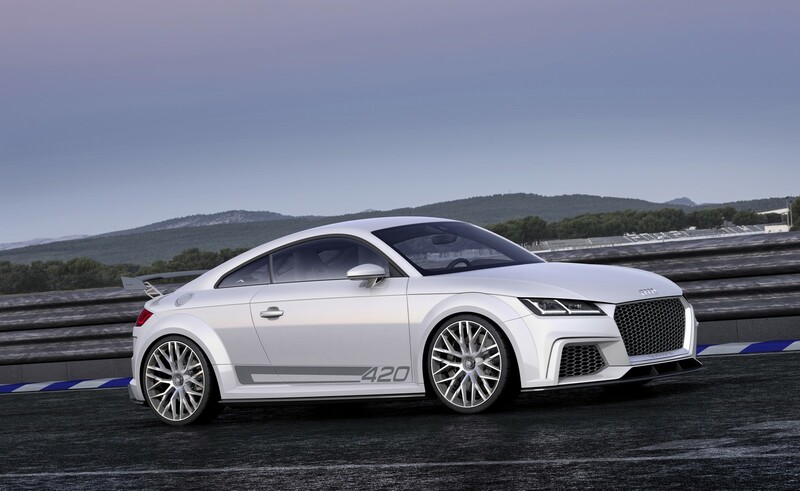 At a curb weight of 1,344 kilograms ([2,963.01 lb] without driver), the Audi TT quattro sport concept is an athlete in peak condition. 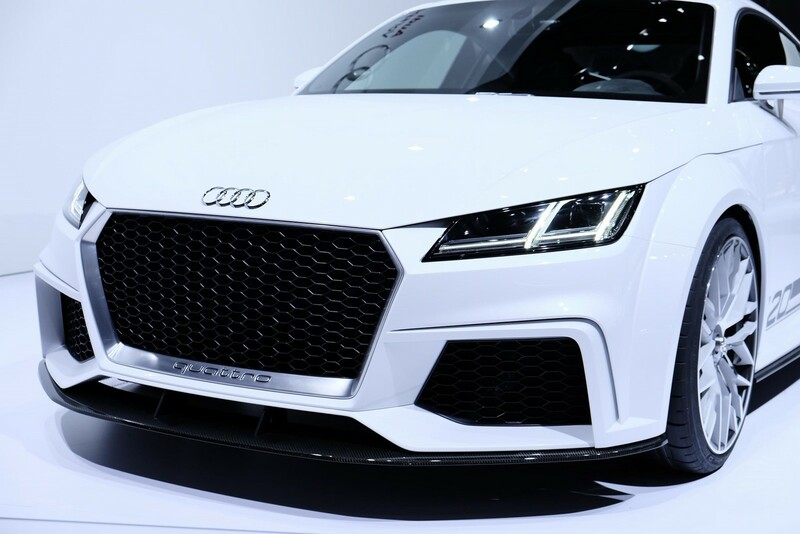 Each hp supplied by the two-liter TFSI, which itself weighs under 150 kilograms (330.69 lb), needs to shift less than 3.2 kilograms (7.05 lb). 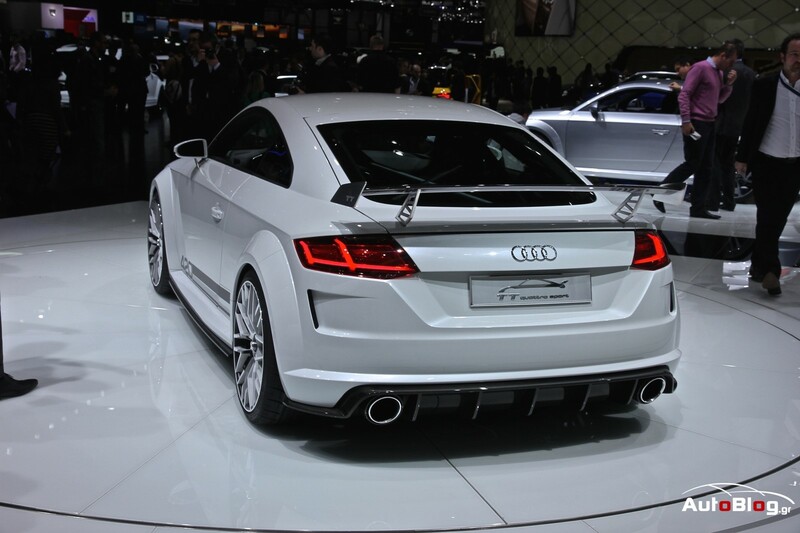 The four-cylinder engine catapults the show car from 0 to 100 km/h (62.14 mph) in just 3.7 seconds. 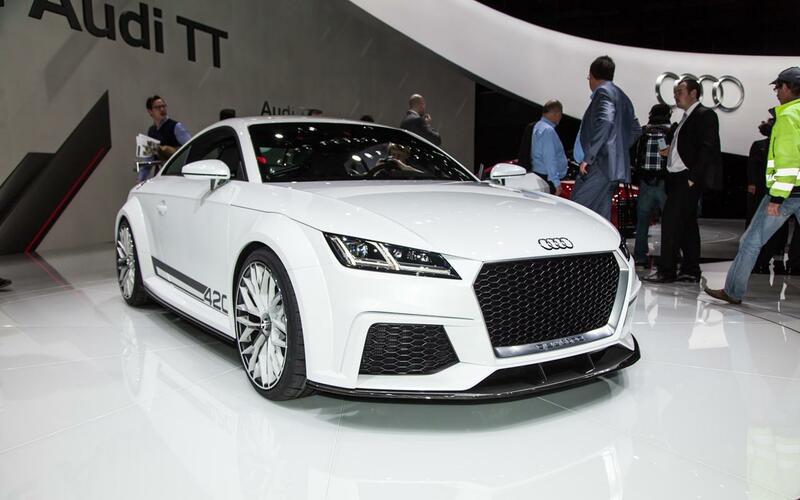 The high-performance engine is once again based on the successful EA888 technologies such as the Audi valvelift system (AVS) variable valve timing, dual camshaft adjustment, and dual injection system (FSI plus MPI). 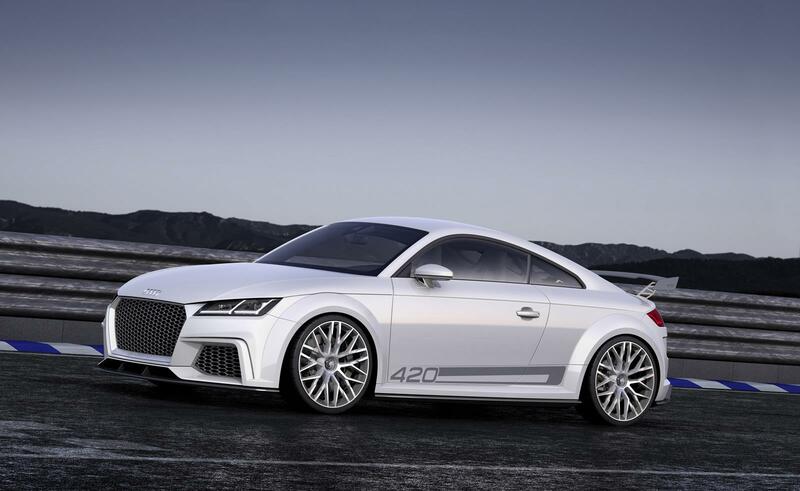 A wide range of modifications are featured, including special aluminum pistons with integrated cooling channels and an ultra-high-strength forged steel crankshaft. The cylinder head is a systematic further development tailored to the higher loads and increased gas throughput. To accommodate the higher output, the EA888’s familiar, highly compact thin-wall cylinder crankcase is here made of a high-strength cast alloy. The also newly developed exhaust-gas turbocharger features optimized mixed-flow technology and produces up to 1.8 bar of charge pressure. 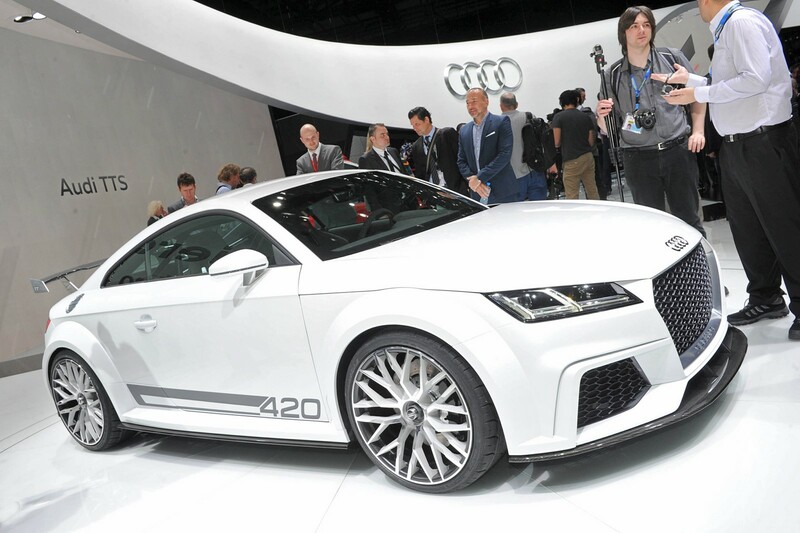 When driving, the four-cylinder unit’s pronouncedly sporty character is breathtaking. The turbocharged direct-injection engine responds immediately to the throttle and revs eagerly right up to the fuel cut-off at 7,200 rpm. 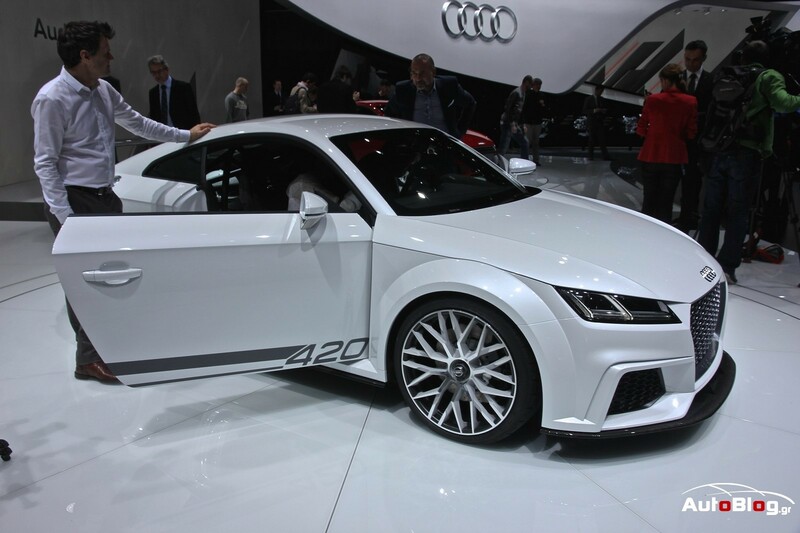 The 2.0 TFSI transfers its torque to a compact, three-shaft S tronic. 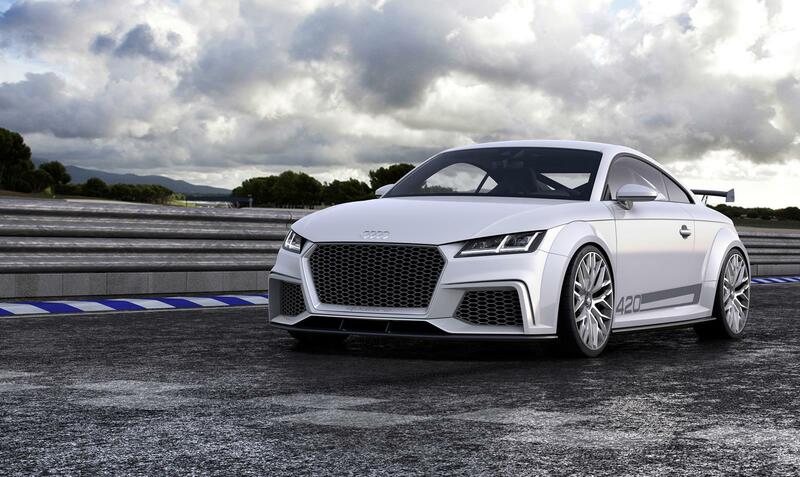 The dual-clutch transmission shifts gears in split-seconds, adding its share to the show car’s impressive acceleration. 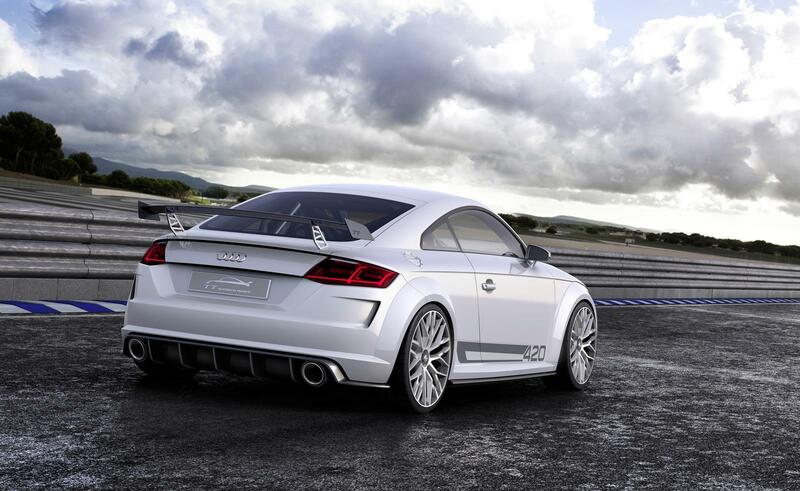 The permanent quattro all-wheel drive delivers the power to the road. For optimum weight distribution, the hydraulically actuated, electronically controlled multi-disk clutch is located on the rear axle. 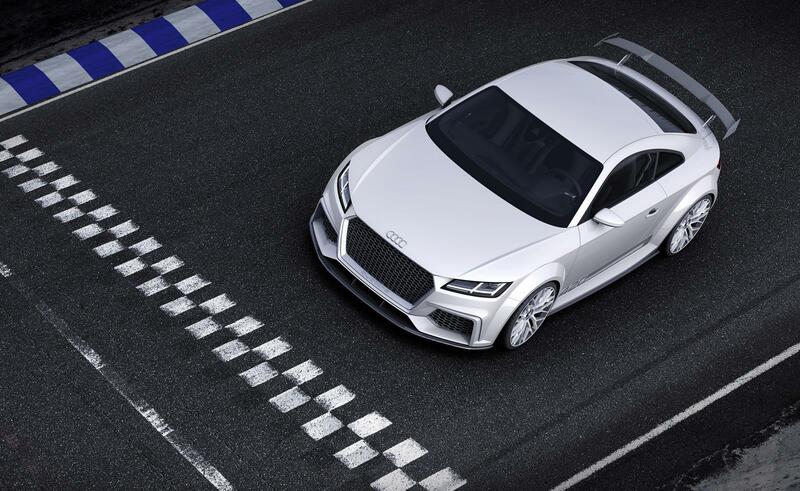 The quattro drive actively controls distribution of the drive torque between the axles in milliseconds, thus adding to the car’s dynamic handling. 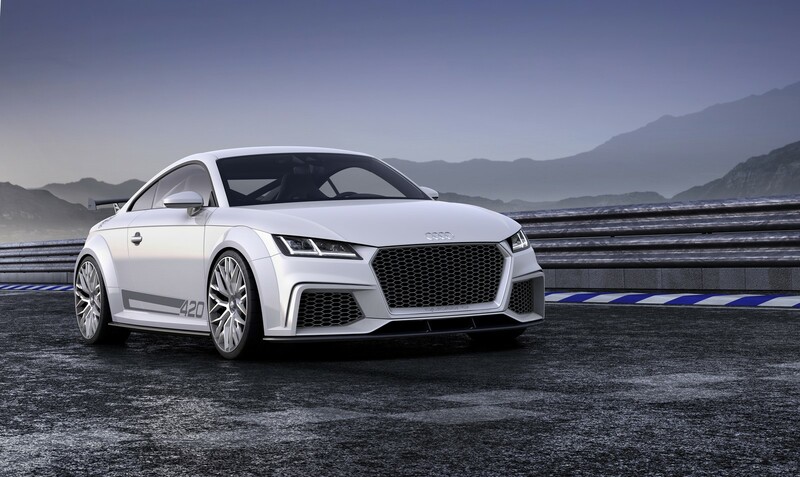 Chassis With its cutting-edge chassis – McPherson wheel suspension with aluminum components at the front and a four-link layout at the rear – the Audi TT quattro sport concept offers sharp, precise race car handling. 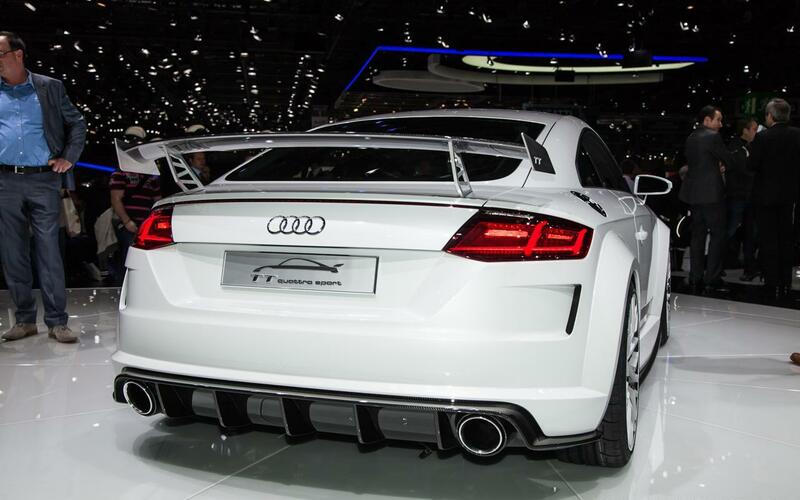 The stiff setup brings the body closer to the road when compared with the series-production TT. 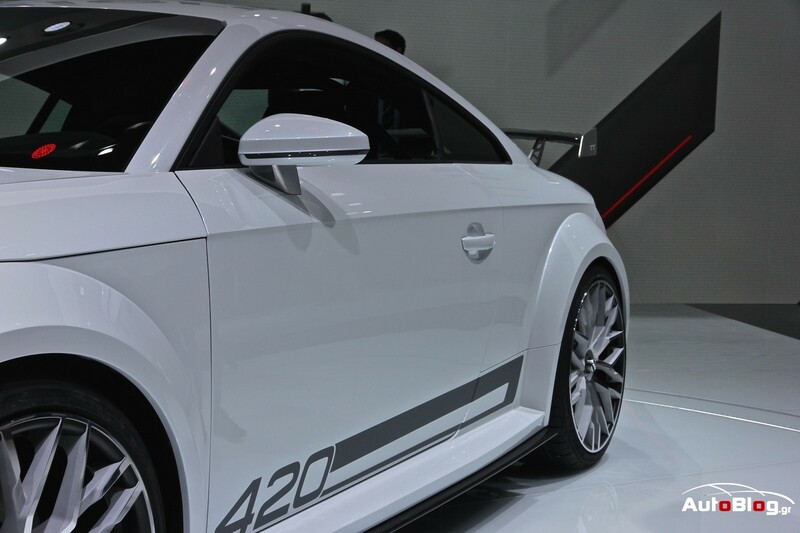 54 percent of the weight rests on the front axle, 46 percent on the rear. 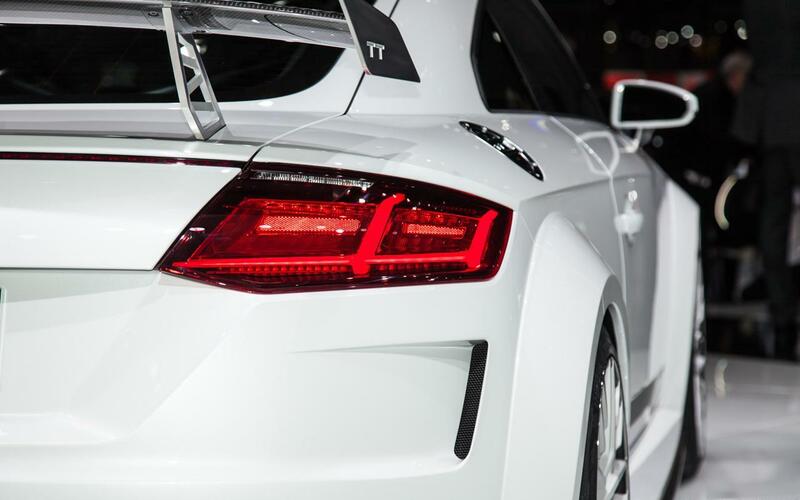 ESC electronic stabilization control, which can be partially or fully deactivated, complements the suspension’s sporty character. When cornering, wheel-selective torque control kicks in. 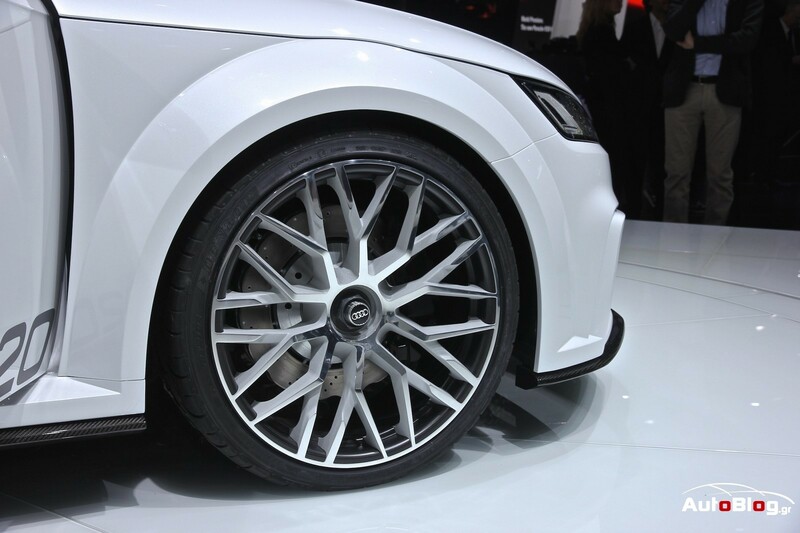 If necessary, drive torque is transferred from the wheels on the inside of the bend to those on the outside. Thanks to the distribution of torque, the car turns very slightly into the corner, helping the driver. 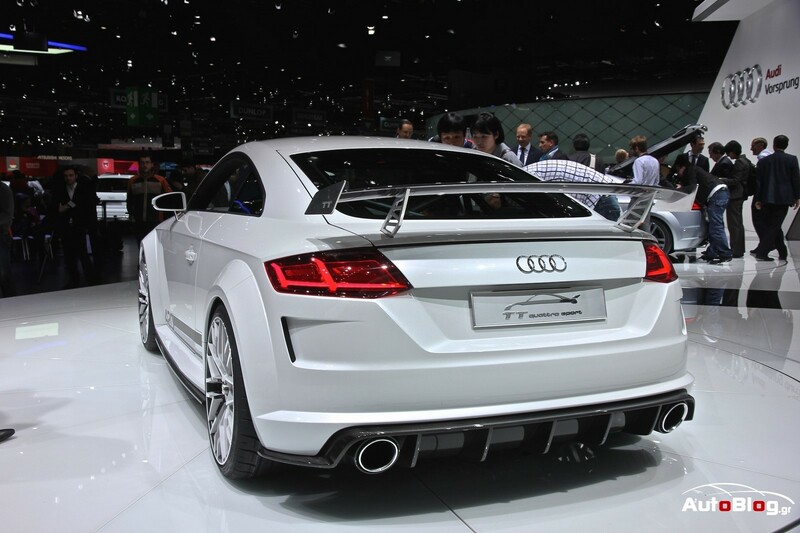 This allows for precise and neutral cornering and the TT greatly increases its dynamism and stability. Body A significant part in the Audi TT quattro sport concept’s lightweight design is played by the body, which is based on the MQB modular transverse matrix. 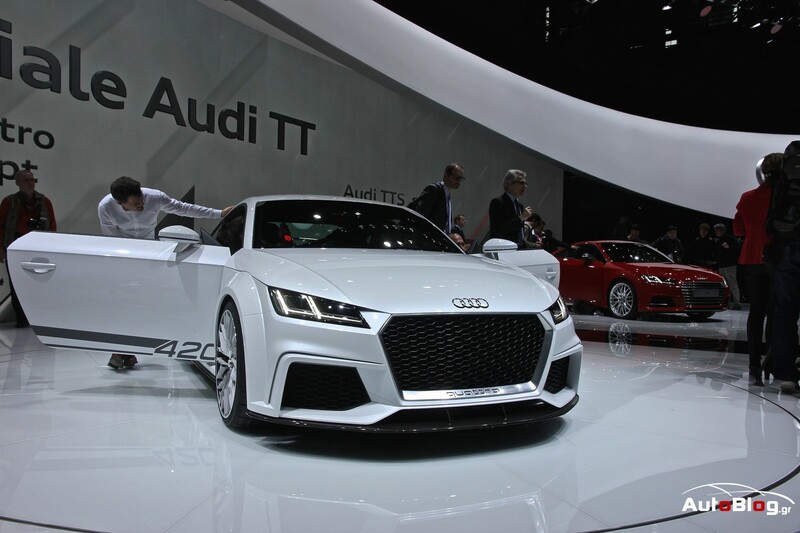 Its hybrid concept represents the latest evolution of the Audi Space Frame (ASF) and further lowers the car’s center of gravity compared with the second-generation series-production TT. 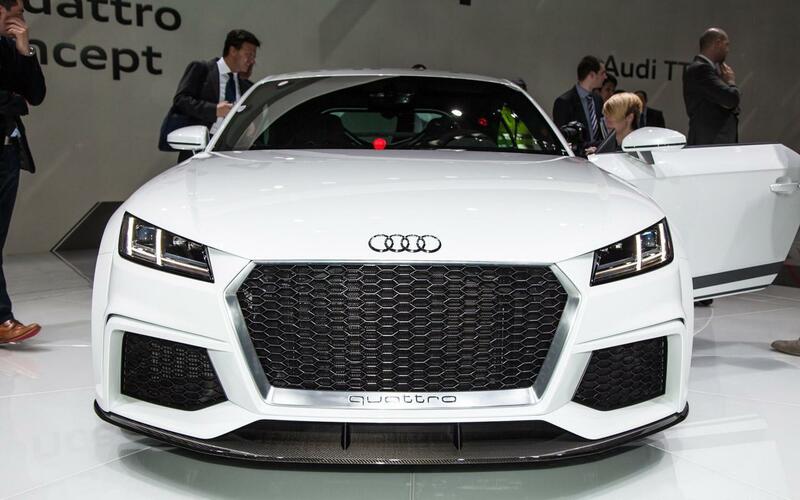 The front end is made of steel. 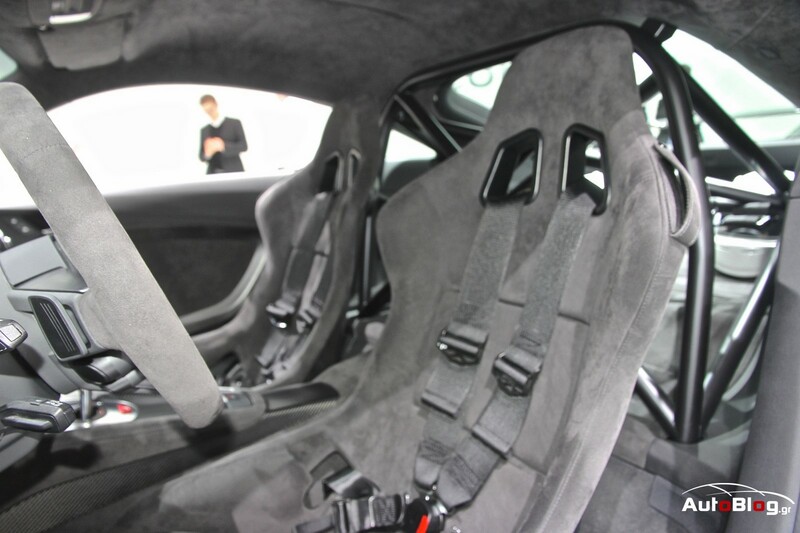 The passenger compartment floor comprises high-strength, hot-shaped steel components which, thanks to their extremely high strength, feature very low wall thicknesses and thus weigh accordingly little. 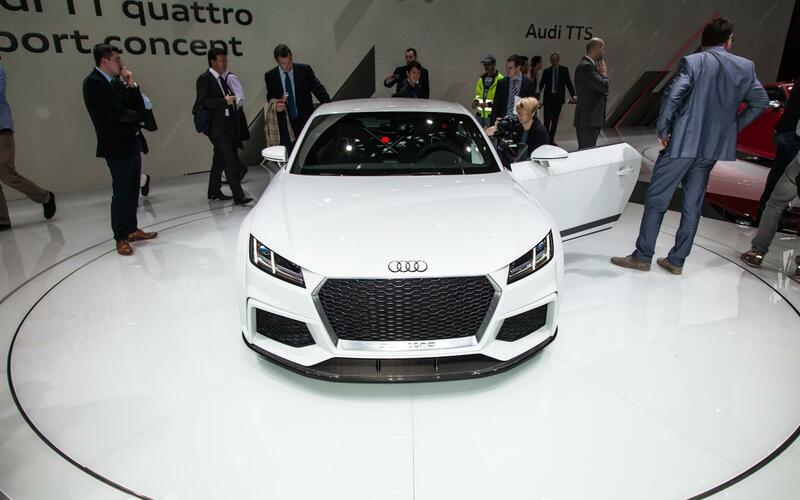 The compartment’s structure, the entire exterior skin, and the doors and lids are made of the classic Audi semi-finished aluminum products cast node, extruded profile, and sheet metal. 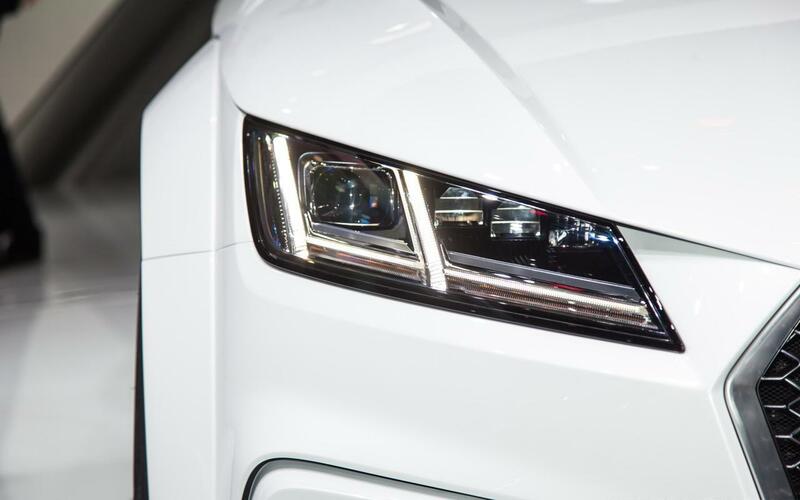 Exterior design The flat Matrix LED headlights and the broad Singleframe grill dominate the study’s front end. 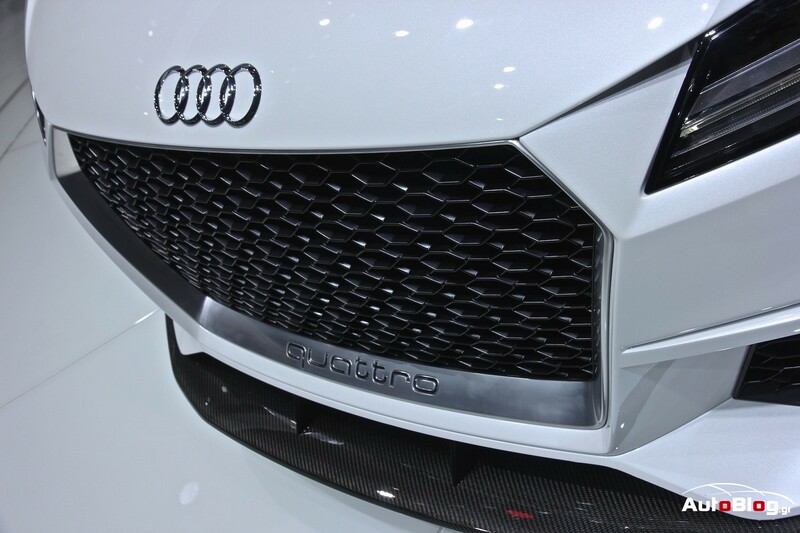 The grill’s striking frame displays the quattro logo and holds the dark diamond-pattern grill. 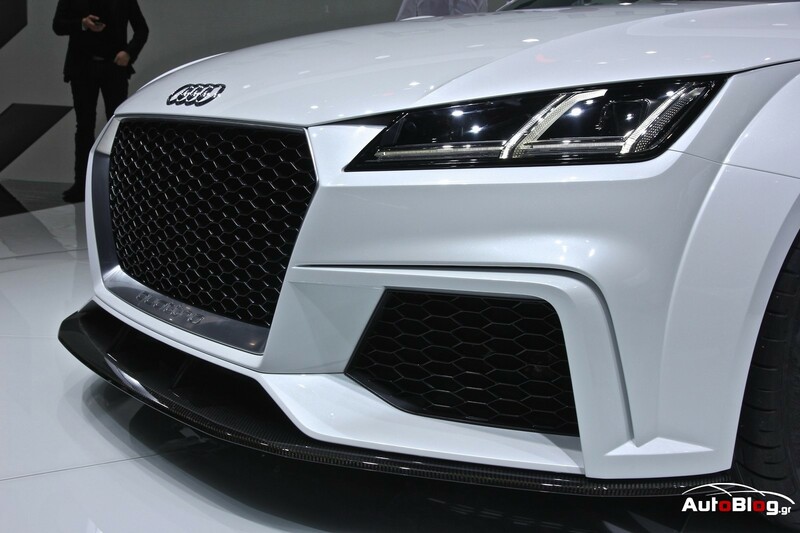 Through their pronounced edges, the substantial air intakes – which also feature diamond-pattern grills – appear almost like inserted airboxes. 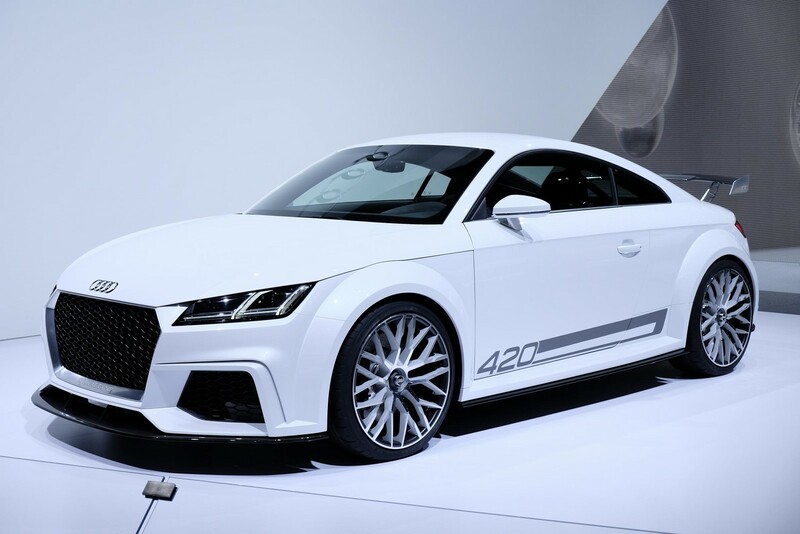 They thus illustrate a key element in the new Audi TT’s design language: elements like the greenhouse and wheel arches create the impression of being individual bodies, thus producing the typical tension. 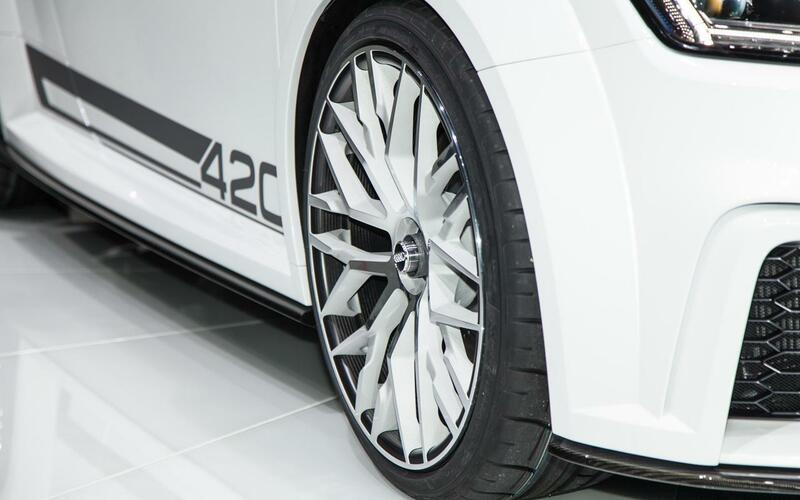 The show car rests on 20-inch wheels with a central locking mechanism and semi-slick tires. 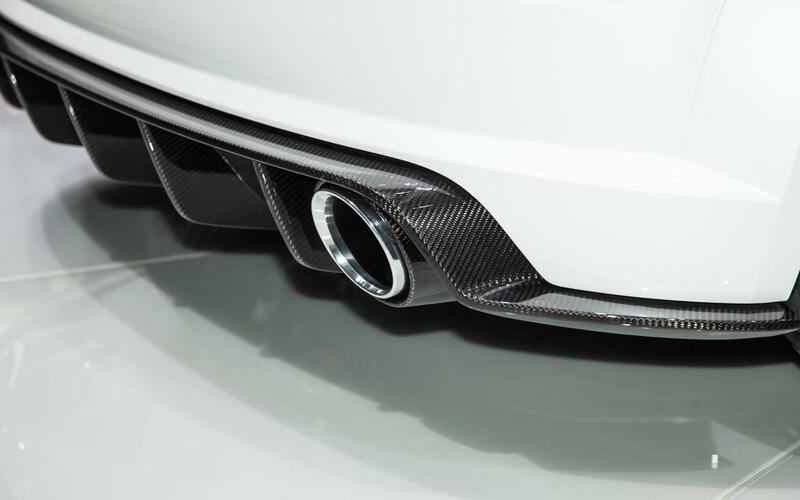 A splitter made of carbon-fiber reinforced polymer (CFRP) stretches toward the front to round off the front end at the bottom and increase the downforce on the front axle. 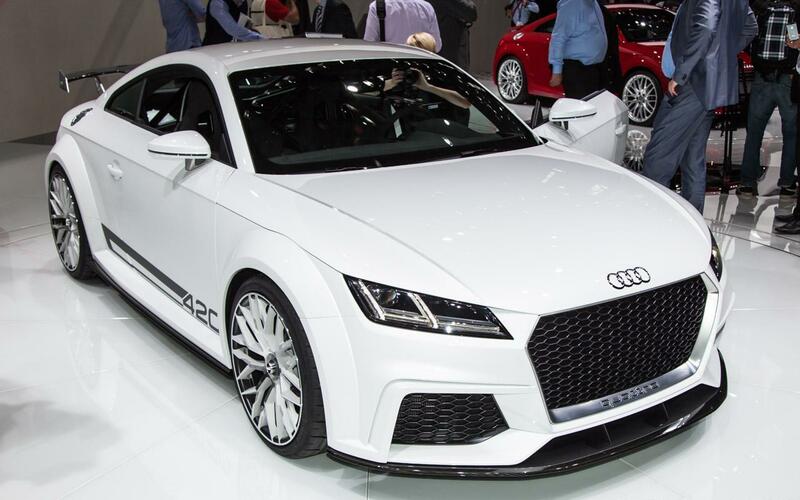 The silhouette of the Audi TT quattro sport concept – which features a paint finish entirely in Crystal White – is athletic and dynamic from every angle. 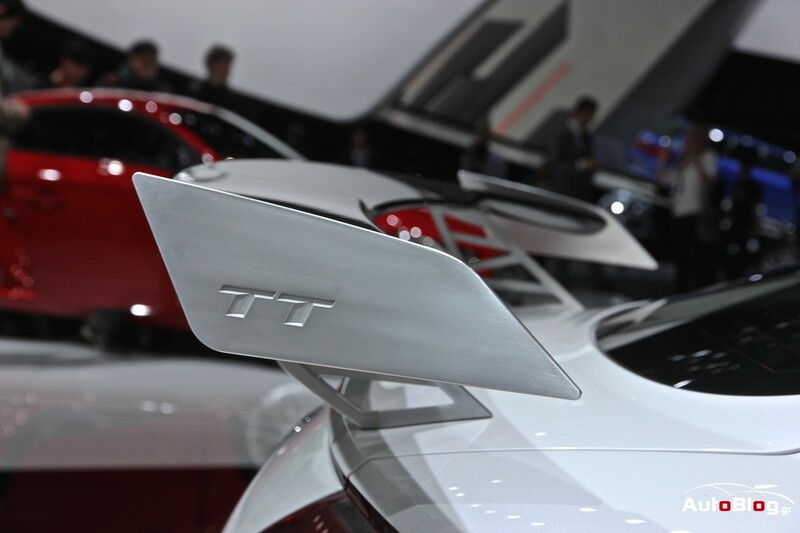 Typical for a TT, the wheel arches form the classic semicircles. 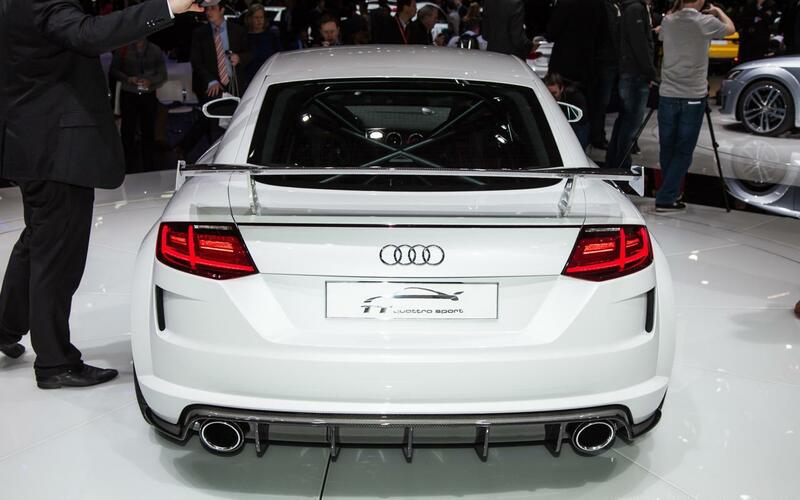 They extend 30 millimeters (1.18 in) further than on the series-production car on every side, giving the car’s stance on the road a decidedly confident air. They are connected by powerfully accentuated sill trims. 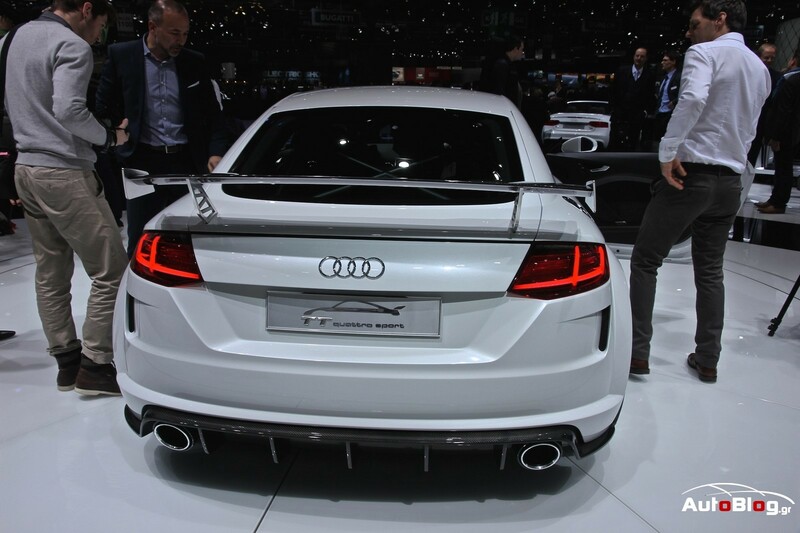 Their lower segments are made of CFRP. 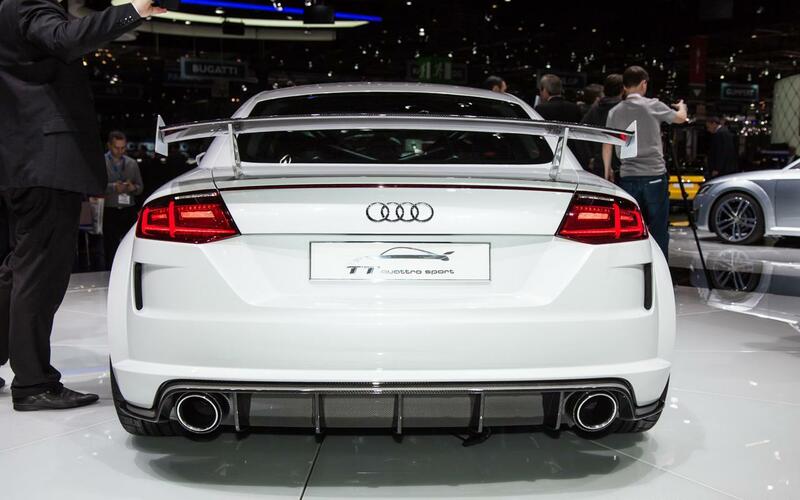 Together with the splitter and the rear diffuser, which stretch all the way to the wheel arches, they form an aerodynamically effective contour. 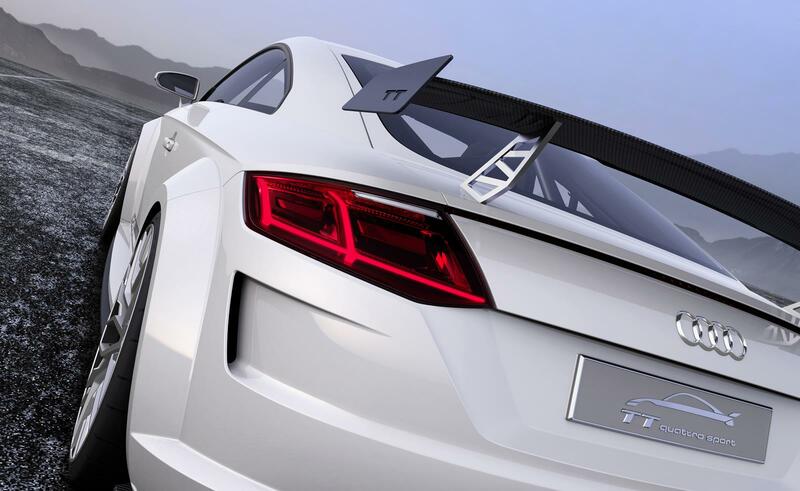 On the rear, the wide CFRP diffuser that extends beyond the vehicle silhouette underlines the show car’s racing character. 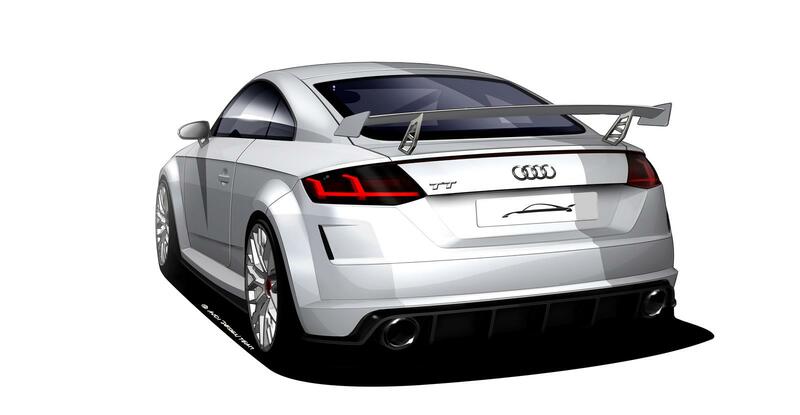 Delineated by vertical edges, the diffuser surrounds two large, fully circular tailpipes that are located further outward than on the series-production car; large air outlets are positioned on the sides beneath the taillights. 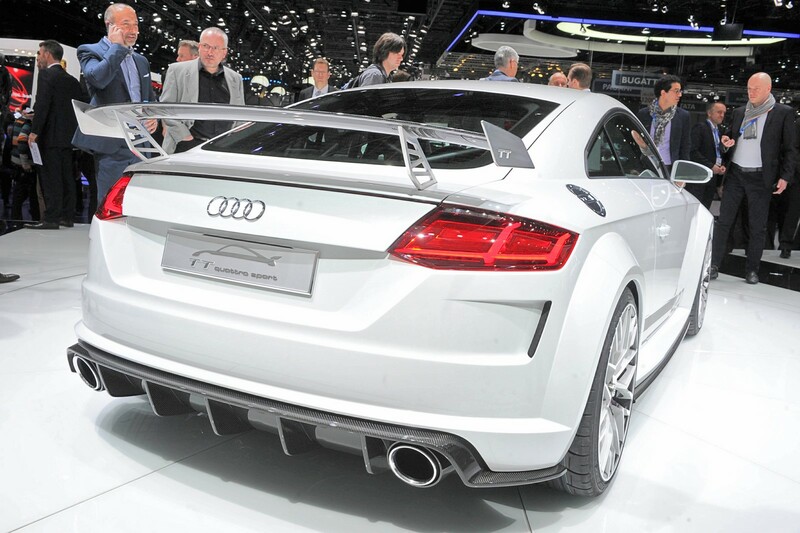 A large, fixed wing increases the downforce on the rear of the Audi TT quattro sport concept. Interior styling The show car interior has been reduced to the essentials, doing away with numerous components that are dispensable on the race circuit. 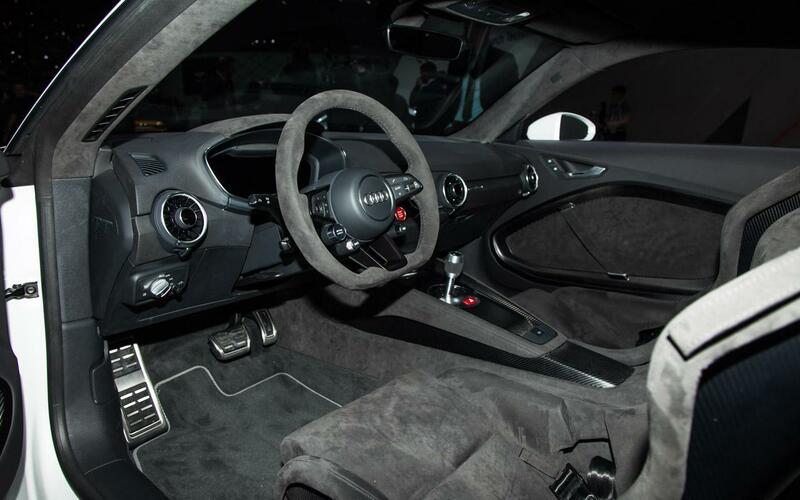 The door panels have been stripped of armrests and speakers – the interior is characterized by Alcantara. 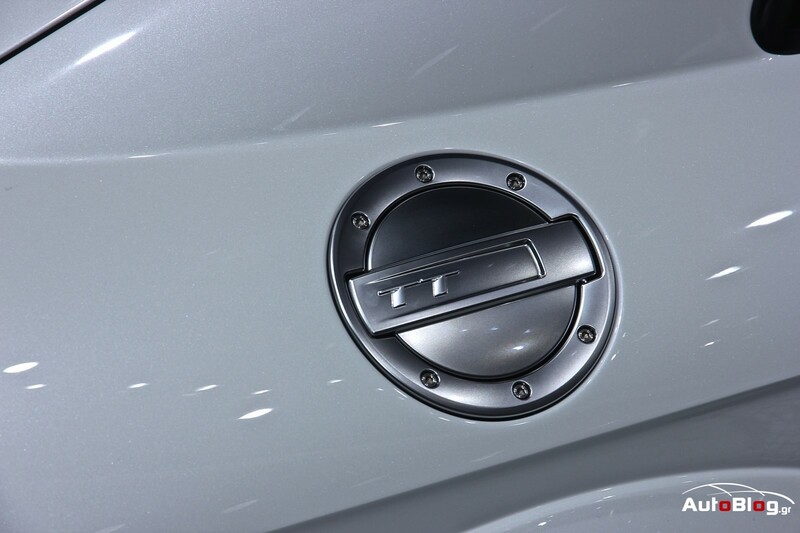 A dominant diagonal strip of Alcantara acts as a door pull handle, the door openers feature a filigree design. 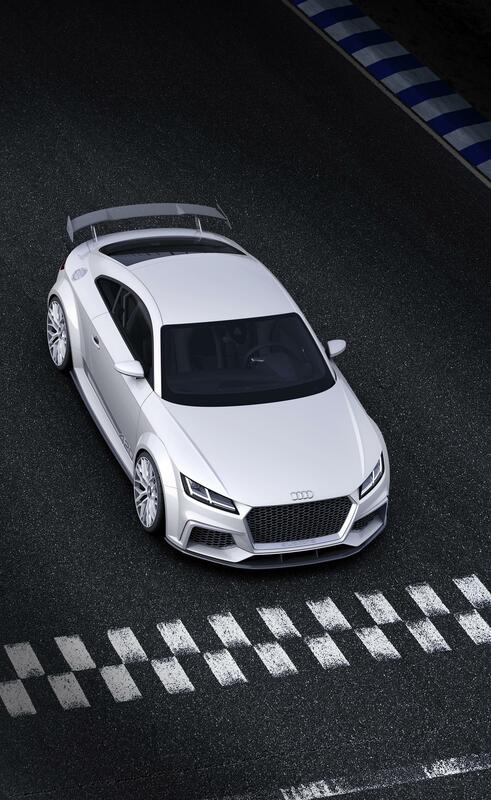 Low-set racing buckets serve as seats, featuring black four-point seat belts with white accentuating stripes. 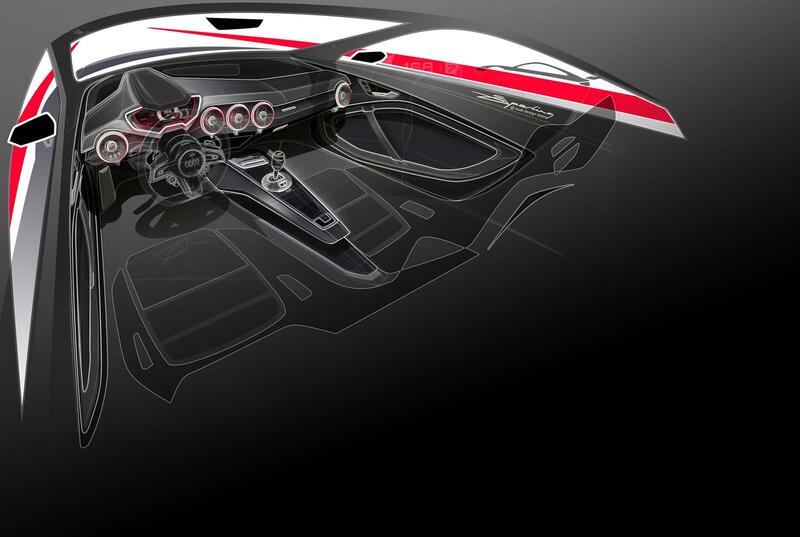 The luggage compartment offers space for two racing helmets. 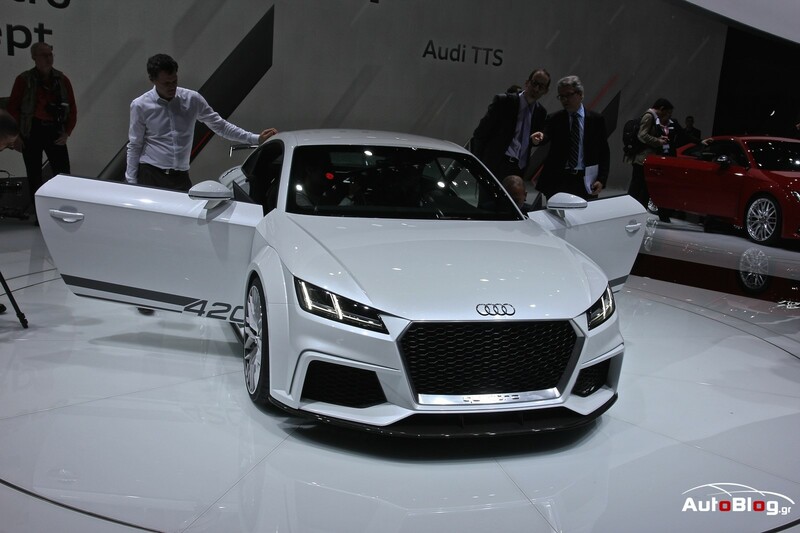 The same as in the series-production TT, the controls are designed purely for the driver. 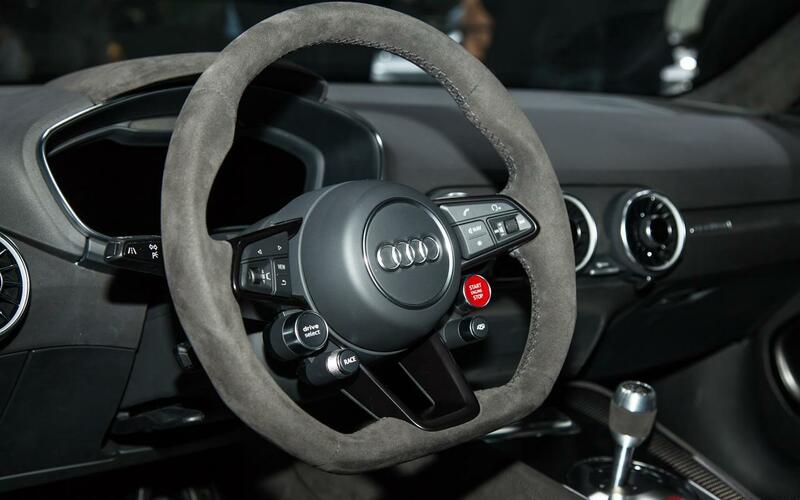 The Audi TT quattro sport concept’s pilot has his hands on a compact steering wheel with a pronounced rim that flattens out at the bottom. 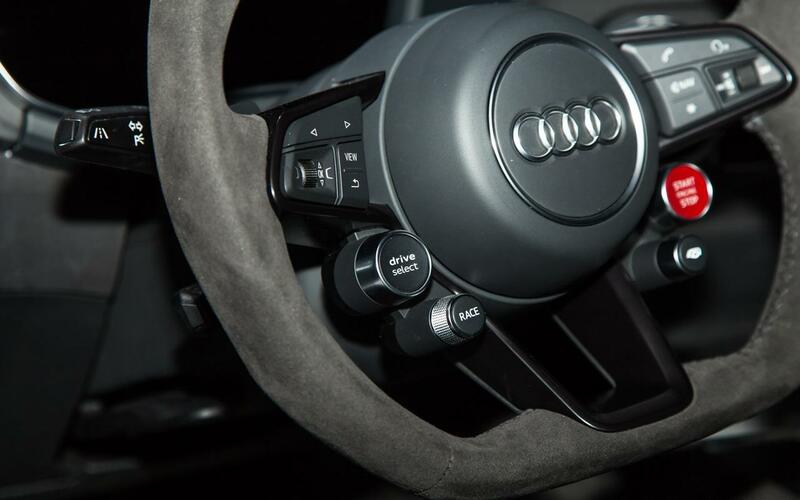 The steering wheel’s spokes house the red start/stop button alongside the keys and rotary buttons for operating the Audi virtual cockpit. Depending on what the driver sets, the fully digital instrument cluster’s 12.3-inch display shows different views.